Interaction design focuses on interactions among people, and interactions between people and various kinds of interactive objects, exhibits, installations, environments or systems. These inanimate entities are typically programmed so that they respond to the actions of people. 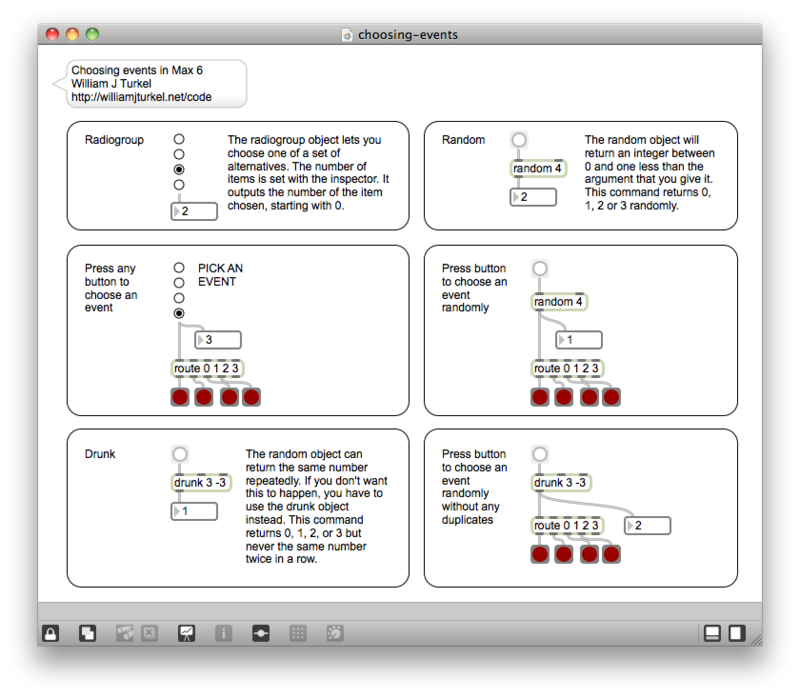 Here we begin to explore some of the mechanisms in Max 6 that allow the programmer to describe basic interactions. One simple possibility is to allow the user to step through a predetermined sequence of events at his or her own pace. Study the examples below. The raw code link is here. The last example above shows that it is also possible to step through a sequence of events automatically. In some cases, like reading texts or following instructions, different users will require different amounts of time to complete each event. In other cases it would be inappropriate to monopolize the user’s attention. Background images, for example, might be changed via a simple slideshow mechanism. A predetermined sequence of events is not very interactive. At most the user can adjust the tempo of the sequence, and he or she may choose to zone out instead. Giving the user the option of choosing a path through a set of events provides more flexibility. Some simple examples are shown below. The raw code link is here. 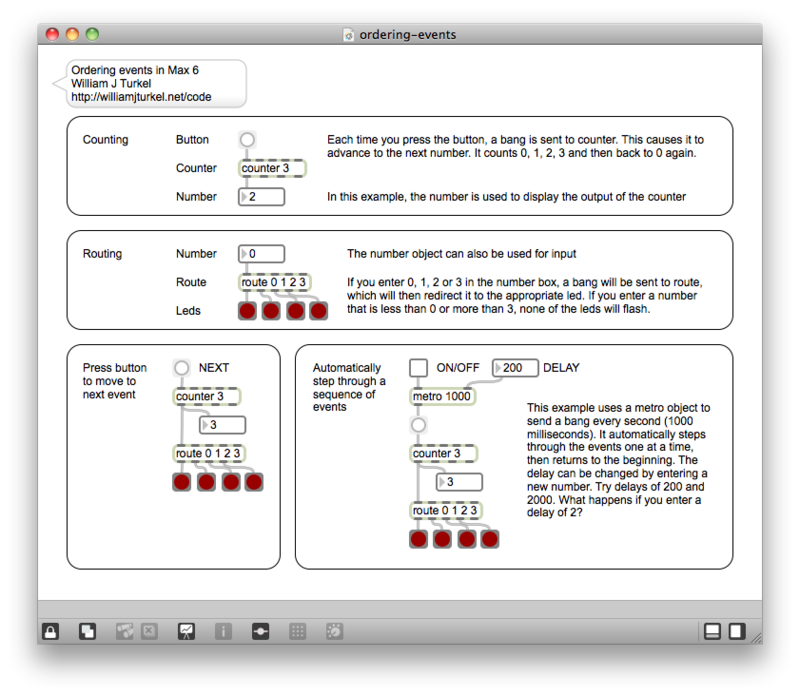 Now you can work through Max Basic Tutorial 3: Numbers and Lists and Max Basic Tutorial 4: Metro and Toggle. Finish by reviewing the steps involved in Making Patches and Editing Objects.